Shauly Grossman didn’t plan on being an Internet rock star. But that is exactly what happened to the 21-year-old self-identified Sanzer Hasid when a satirical song he recorded poking fun at the allegedly rock-star-like lifestyles of some Hasidic rebbes resurfaced as a hotly debated video on YouTube. Grossman’s song, set to the tune of “Rockstar” by the popular band Nickelback, focuses on the alleged proclivities of some leaders of Hasidic sects — from lavish houses to expensive clothes. Despite the biting lyrics, Grossman says the song was not meant as an attack on rabbinic authority in general. 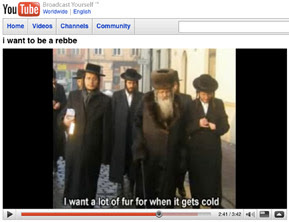 But the video — which has circulated on the Internet for several weeks under the title, “I Want To Be a Rebbe” — juxtaposes Grossman’s song with images of widely known rebbes. Grossman said he does not know who created the video, explaining that he recorded the song a year ago and that it was not intended for public consumption. Even so, the video and Grossman’s lyrics have stirred up a fierce debate on blogs frequented by ultra-Orthodox Jews — a population better known for reverence for rabbinic authority than for irreverent song-writing. Fans of the song describe it as a witty critique of the shift from an older generation of Hasidic rebbes, who were held in great esteem, to a new generation, some of whom inherited their positions without first earning respect and trust. “It’s a community where there are some rabbis universally acknowledged among the masses that they don’t view them as deserving of being a rabbi,” said the author of a leading Orthodox music blog, BloginDM, who spoke on condition of anonymity. Rabbi Avi Shafran, director of public affairs for the ultra-Orthodox organization Agudath Israel of America, however, was not amused. “I certainly know that some of the people I recognized in the video live selfless and austere lives and for all I know, all of them do,” he said. 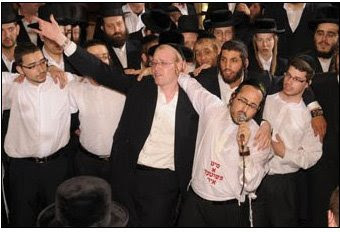 The brouhaha over Grossman’s song comes amid wider controversy over the infiltration of contemporary music into the ultra-Orthodox world. Earlier this year, a planned charity concert in New York featuring popular Hasidic singer Lipa Schmeltzer was canceled following a decree from a number of leading ultra-Orthodox rabbis. The concert, the rabbis warned, was likely to cause “ribaldry and light-headedness.” Grossman, incidentally, wrote the title track on Schmeltzer’s latest album. The debate over the video also highlights the growing significance of the Internet in the ultra-Orthodox world. While some ultra-Orthodox leaders have attempted to limit Internet use among their followers, the Web has nevertheless emerged as an outlet for discontent. “The people who are talking about it in the blogosphere, some of them are probably alienated and marginalized and of course in the blogosphere, you can say whatever you want because nobody knows who you are,” said City University of New York sociologist Samuel Heilman, author of a scholarly book on ultra-Orthodox Jewry. Communal critics, though, have no monopoly on the Internet. The “I Want to Be a Rebbe” video has been removed repeatedly from YouTube as a result of complaints alleging copyright violations, including one filed under the name “Chofetz Chaim” — the renowned Orthodox sage who died in 1933. 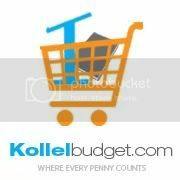 The video was re-posted on December 1, tallying nearly 2,000 views in 17 days.